While studying the infamous EternalBlue exploit about 2 months ago, researchers Sean Dillon (zerosum0x0) and Zach Harding (Aleph-Naught-) found a new flaw in the Server Message Block (SMB) protocol that could allow an adversary to interrupt the service by depleting the memory and CPU resources of the targeted machine on a Denial of Service (DoS) attack. According to an article posted by ThreatPost , the flaw called SMBLoris was privately reported to Microsoft in early June, but the company considered it to be of moderate impact and that it would not be considered a security breach. In addition, it would probably not even be fixed. 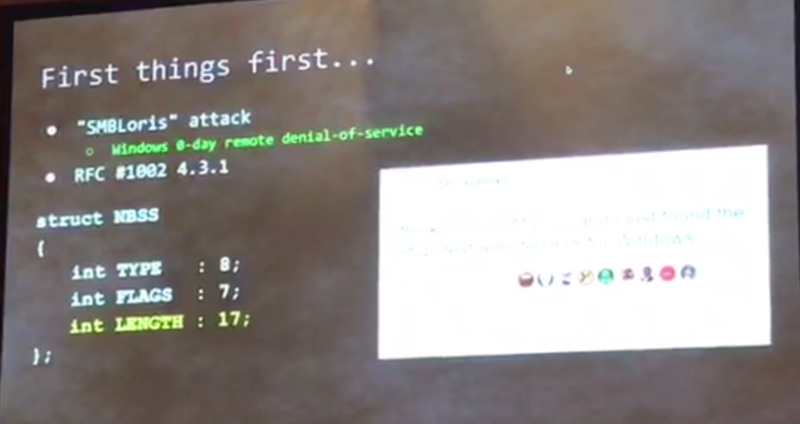 As announced, some bug details were presented yesterday during a presentation at DEFCON 25 in Las Vegas. The attack is similar to another called SlowLoris  (hence also the similarity of the name) by allowing an attacker with a single machine and low bandwidth to be able to interrupt a service through a DoS attack. The difference is that SlowLoris affected Web servers. Technically speaking, the problem occurs with the accumulation of a 4-bytes buffer called NBSS used during SMB session establishment which are allocated in the physical RAM and can not be swapped out. Triggering this, an attacker who initiates a large amount of connections to the service will be able to deplete the memory resources and after the CPU on the target. 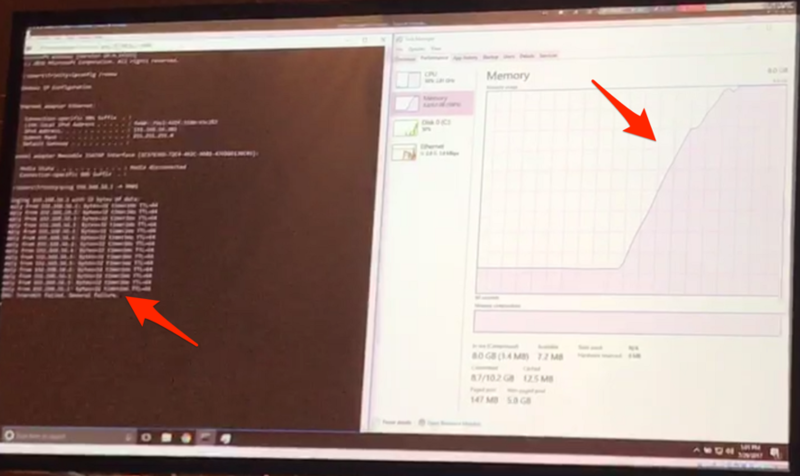 In the demonstration, an 8 GB memory server became unresponsive in a few seconds - note in the following figure the rapid increase in memory consumption during the attack. 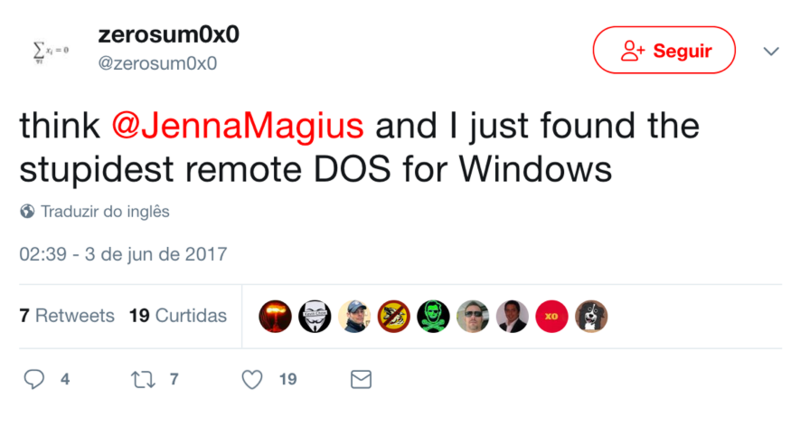 There is no update from Microsoft to fix the problem - so it has been considered a zero-day. For now, as a mitigation measure, the recommendation is to use a packet filter, like a Firewall, to limit the number of connections from a same source to the Windows servers on port 445 (SMB). Is there any snort or suricata rules for this flaw yet ?.